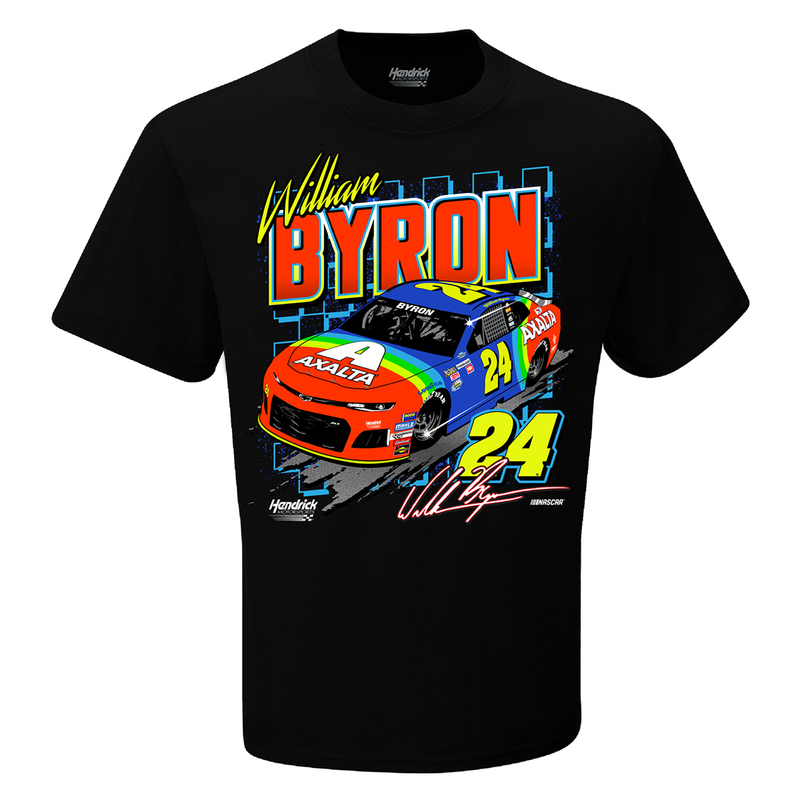 During the Official Throwback Weekend of NASCAR® at Darlington Raceway, Hendrick Motorsports Rookie of the Year contender William Byron will pay tribute to the NASCAR® legend who made his car famous. For one race only, Byron will be driving a No. 24 Axalta Throwback Chevrolet Camaro ZL1 that has been designed to replicate Jeff Gordon’s famous “Rainbow Warrior” paint scheme. With its electric blue sides and neon accents, this is a t-shirt that longtime fans of the No. 24 won’t want to miss!